App marketing is the new frontier in communicating with your prospects, customers and clients. A hugely important piece of that is in-app messaging, or, the messages you send to users while they are currently interacting with your mobile or web app. In-app messaging engages the users who are already active, capitalizing on their behavior and using attributes (such as location, gender, and device) to determine which users will take certain actions. Sound complicated? Don’t worry – it’s not! Running in-app marketing is surprisingly easy when you have the right tools and insights. 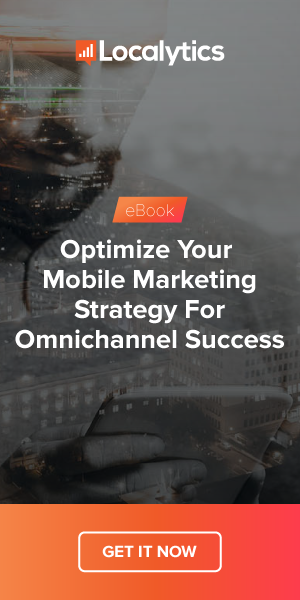 Here, we walk you through the elements of a successful in-app messaging campaign, including how to use analytics, what variables to test, and what kind of content works. If you're short on time, we've got some TL;DR (too long; didn't read) highlights at the end of each section! No two app users are the same, so messaging campaigns that are sent to all active users will fall short. But, there are ways to find users with similar interests or characteristics and segment them by various attributes and behavior. These segments will help inform your campaigns. Say you want to boost purchases in your mCommerce app; you can segment your users based on past purchasing behavior, like users who added an item to their carts but never checked out, and by session length and frequency. Using these attributes, you’re able to create your target audience for that campaign. Where are users converting in your app? Where do they typically fall out of the funnel? What is the desired outcome of each funnel? The goal of your marketing is to motivate your users across the golden conversion line, so understanding the various steps within your funnels and if users are completing them will help you create successful campaigns. Using your funnels, you can identify where users are falling out of the desired conversion path and create an in-app messaging campaign that targets that drop-off. Analyzing these funnels will also help you test conversion hypotheses and make ongoing improvements to your marketing over time. With your chosen user segment in hand and an idea of where in the conversion funnel your campaign will work, create an offer targeted to address that audience specifically. The best in-app messaging campaigns are those born from data. Whether it’s an exclusive sale or discount code, access to premium content, or a prompt to follow your brand on social media, your offer should speak to your audience, fit the funnel, and serve to increase engagement and improve usage. It should also feel as though it’s a natural part of the app, and not an additional marketing initiative. A great in-app message is targeted to arrive at the right time during the user experience and present an offer in line with that user’s current actions. Unlike push messaging, which is limited in terms of copy, in-app messaging has room for longer content. However, successful in-app messages are able to convey value in as few characters as necessary. To get mobile users to engage and not exit the message, your content should be concise and persuasive. The most important copy element of your in-app message is the explanatory text (but clear headlines are also effective in capturing user attention). Here’s where web and mobile marketing aligns: CTAs are just as important in converting prospects. They also require A/B testing to determine which colors, content, sizing, and format will work best for your brand. Buttons are often a safe bet to draw the user to click through, but because your entire in-app message is clickable, your CTAs can be more creative with formatting and text. Because you typically have a short period of time to engage the user with your message, successful in-app CTAs are visually bold and easily identifiable that the user can immediately act on. Your users are highly visual – adding graphics or other illustrative branding to your in-app messages help catch the users’ eye, reinforce brand identity, and convert. You want to avoid your in-app message looking like an ad, and instead present a branded campaign that looks natural within the app. Think of your in-app messages as condensed emails; the visuals should complement the copy in a way that increases brand credibility and improves click-through rate. Marketing automation is the gold standard today – and for mobile, capabilities are advancing rapidly. With your segments in place, you should use automation to “auto enroll” new users as they meet certain criteria. With that enrollment in place, those new users will automatically receive the in-app campaign that they have qualified for – ensuring that you never miss a new opportunity to convert more users. You should also “chain” messages, so that when users re-engage with or re-qualify for an in-app campaign, they receive additional messages. A/B testing your mobile app used to be a complicated process involving engineering time and app store re-submissions. Now, you can A/B test in-app messages in the same way you do landing pages or emails. By using A/B testing, you will know what works best within your campaigns by comparing multiple, varied offers and defining the elements that your users respond to. A marketing campaign is no good if you can’t measure it! Send your in-app messages out through a closed-loop platform that dynamically connects marketing to analytics data. It doesn’t benefit to have your analytics separate from your in-app marketing, as you’ll always loose out on data and you’re not ensured 100% accurate results. By measuring your in-app campaign, you can get insights into initial results like impressions, click-through rate (CTR), and conversion rate, and also into long-term results like customer lifetime value (LTV). This will inform your in-app marketing ROI, and help you assess how it fits into your overall marketing strategy. There are many ways to run a great in-app messaging campaign, and once you get the basics down, there’s a whole world of experimentation awaiting you. Whether you use some or all of these suggestions, the most important takeaway is this: measure everything, and you’ll be able to run great app marketing.